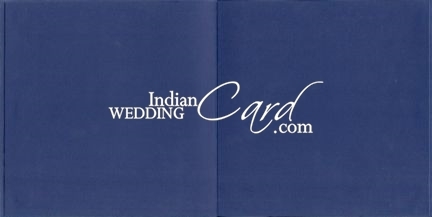 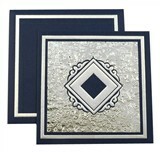 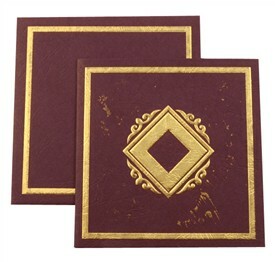 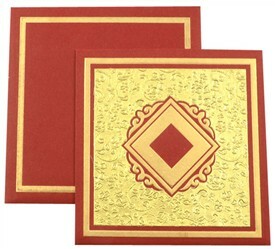 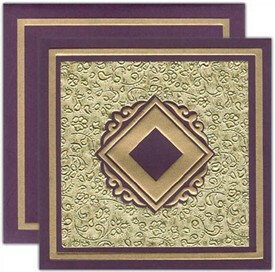 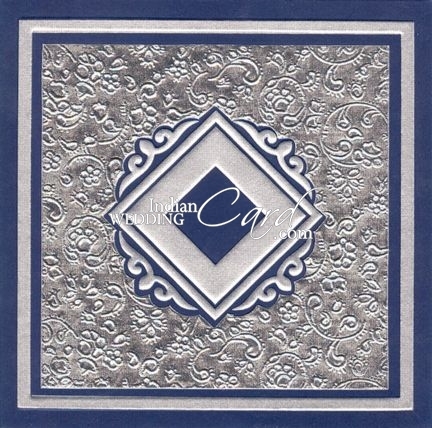 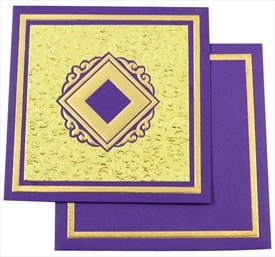 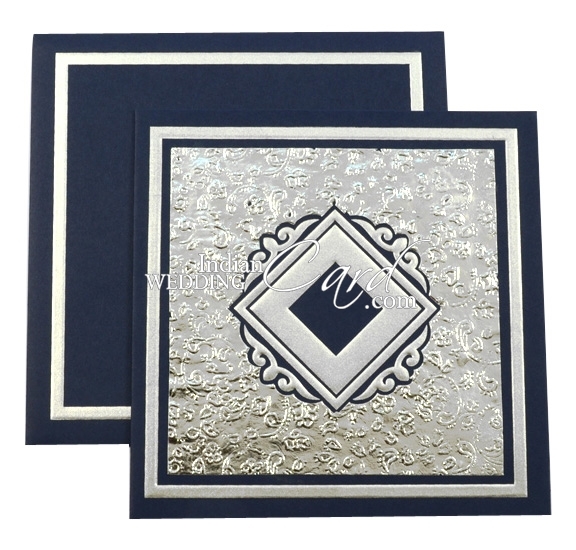 Description: The front of this sleek wedding card design has embossed silver border design. The silver leaf paste up has a self-embossed base design of floral images. 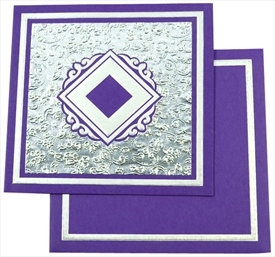 The die cut in the center shows an embossed motif design in silver. 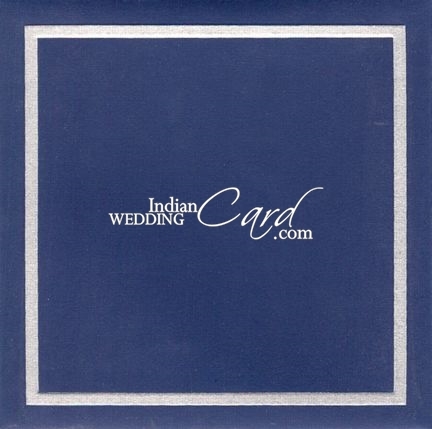 The interleaf is plain and the envelope has silver borders as the front.